I think it is fair to say that this movie was “ground-breaking”. 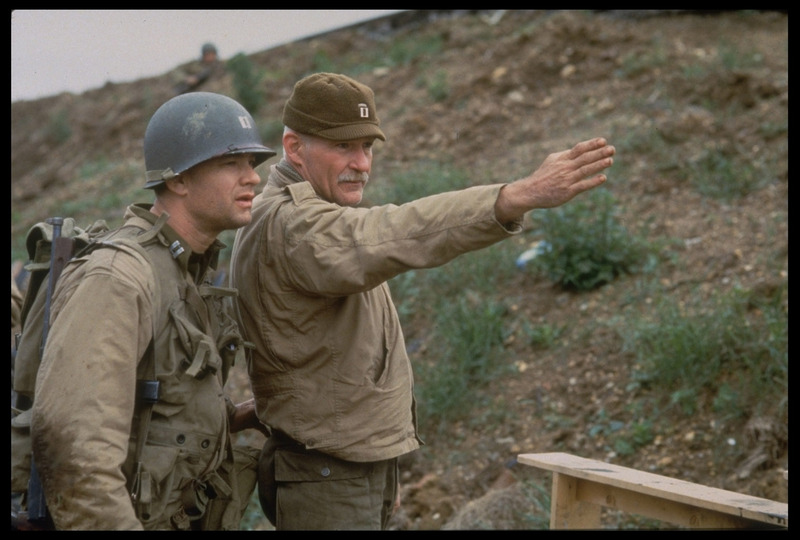 With the hundreds of WWII-topic movies, Saving Private Ryan was unique in several aspects. It also brought with it many of the things that annoy me about mainstream Hollywood. Using big (no movie pun intended) names like Tom Hanks, Matt Damon, Vin Diesel and Dennis Farina seemed to boost the movie some. I’m not a fan of Tom Hanks but I think he did an above-average job with his part, “Captain John Miller”. Unfortunately, left-wing activist (they’re all left but some are more obnoxious than others) Ted Danson was cast in the movie as an Airborne Captain who rescues CPT Miller’s squad from a shouting match with an equal number of German soldiers. The confrontation annoyingly stretched credulity to the max but sending Danson to the rescue sickened me to no end. 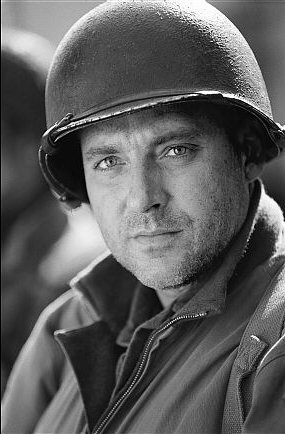 On the flip side, Tom Sizemore was great as the professional platoon sergeant “Michael Horvath”. I also liked his work in Black Hawk Down. 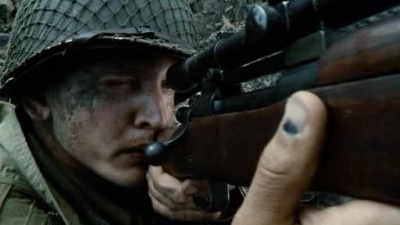 Perhaps best of all was the character of the sniper, “Private Daniel Jackson” portrayed by Barry Pepper. 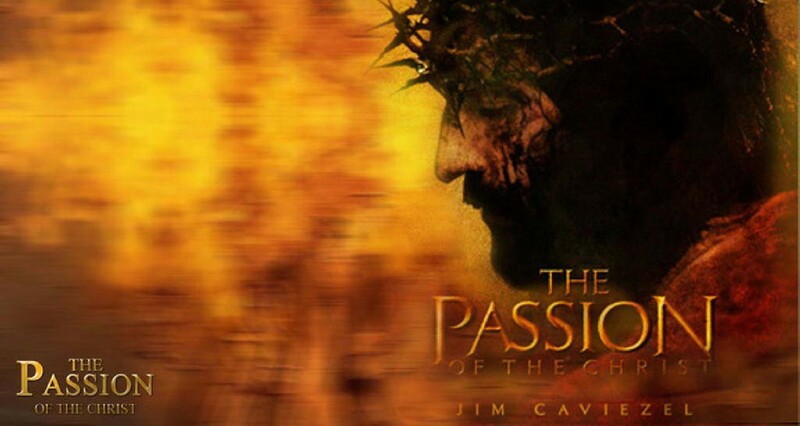 This was the first, modern Hollywood movie I have ever seen that portrayed a professing Christian in a normal and even positive light. After watching brutal scenes of death (more on that later) dished out by the Germans it was inspiring to see the character say a short prayer and send it back to the enemy. I do, however, want to talk about one such “shot”. In a destroyed village square the squad meets up with a French family who tries to convince them to take their daughter, in the process one of the squad gets wounded by a German sniper and PVT Jackson needs to go to work. It’s very suspenseful right up until he takes the shot—and it goes right through the scope of the German’s rifle and into his eye. Um…sorry to say Mr. Spielberg, but it’s been done already, and you using it again was hammy (and gory). I am not a big movie-goer but I know it was done in at least 2 movies I saw and probably several more; the first was Tom Berenger’s Sniper (1993) and the second was Arnold Schwarzenegger’s Eraser (1996). 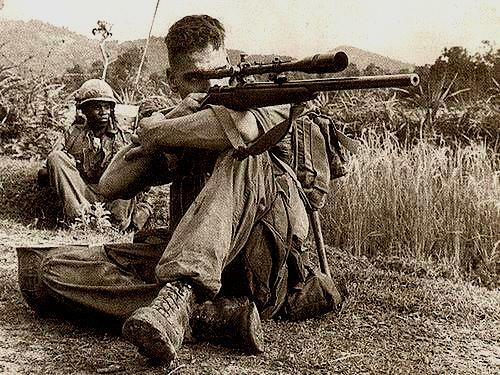 Such a sniper vs. sniper kill was done for real by Marine Corps legend GnrySgt Carlos Hathcock during a dangerous counter-sniper mission in Viet Nam. 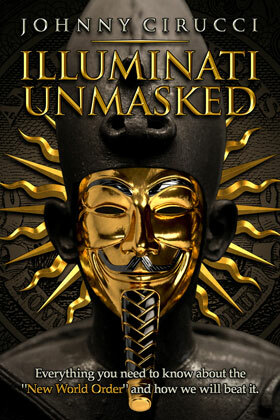 This leads me into another big plus for the movie, the authenticity. Hailing from Cape Girardeau, Missouri [also the home town of radio talk show host Rush Limbaugh], Dale Dye “heard the sound of bugles and drums from the earliest age” and knew right away what his chosen profession was to be. “Aged eight I became a boy soldier and went away to military school. I had plans of attending the United States Naval Academy to become a career officer, unfortunately my academics weren’t good enough. So I enlisted in the United States Marine Corps instead. I spent 1965, 1967-1970 in Vietnam and was wounded three times there in the course of some 31 major combat operations.” (He modestly omits any mention of his many decorations, including three Purple Hearts and a Bronze Star for valor.) “I rose to the rank of Staff Sergeant. After the war I was involved in the evacuation of Saigon and then selected to become a Warrant Officer. As an officer I got my formal education and so was able to become a Commissioned Officer. I then served in Beirut among other places, did an exchange tour with the Royal Marines, and finally decided to retire in 1984. Dye loved movies but was constantly annoyed by the terribly low levels of authenticity in “war” films. He wasn’t able to make a connection as a technical consultant until he contacted director Oliver Stone who was then undertaking Platoon. Despite diametrically opposed politics the two connected on their shared experiences in Viet Nam and the rest is history. Since then, Capt. Dye and his company have also worked on projects such as Starship Troopers and Band of Brothers (besides Ryan). He also has a highly sought-after military screen presence and has been given many acting jobs as well (he is one of the senior officers present when the deaths of the Ryan brothers are reported to General Marshall). Perhaps the best anecdote I have found about Capt. Dye is that he called Tom Hanks “Terd #1” on the set. Which brings us to director Steven Spielberg. Of course he has the experience of quite a few big money films. But he also leans strongly to the Left and that certainly influenced the messages he put into this movie. 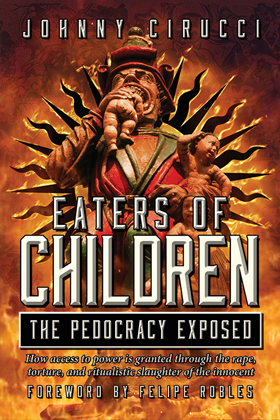 “I didn’t want to shoot the picture as a Hollywood gung-ho Rambo kind of extravaganza,” Spielberg stated in the book. Saving Private Ryan, The Men, The Mission, The Movie. Pretty funny that he should characterize a genre as “Hollywood” when he’s such an integral part of it. Classic “propaganda” war films have a place in American culture. 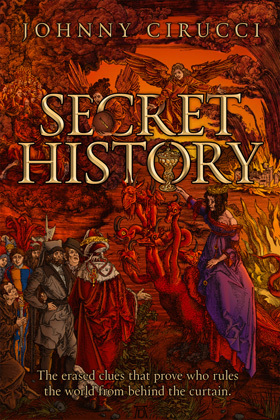 Yes, they may have glorified war by editing out the pain, horror and dismemberment, but the “myths” they contributed to were and are vital to keeping this nation a “melting pot” and not a “salad bowl”—which is what it is quickly becoming. Modern gore films like Ryan may be better at showing the reality of war which serves a necessary purpose. War should not be undertaken lightly. However, as long as man is a sinner, evil, selfish and perverse, war is a necessary part of life in the same way that law enforcement and justice is. There is a balance between the 2 types of movie and no one is “better” than the other. I think Spielberg has an air of arrogance about what he has done without appreciating the need for the other. Something else that disappointed me was that, in spite of all of the talent this movie brought together, it was an annoyingly simplistic plot. Compared to the many inspiring and amazing stories to depict from WWII, Private Ryan falls flat against them. Perhaps the most annoying aspect of all was how the movie ended. After an emotional climax and an impressive work of computer graphics to age “Ryan”, he looks at the names of those who gave their lives for him in a graveyard and sobs to his wife, “Tell me I’m a good man. Tell me I’ve led a good life”. But I didn’t expect a heathen to get it.